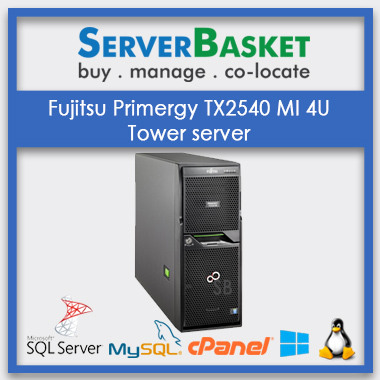 Check out latest Fujitsu Tower servers on Server Basket at economical prices. 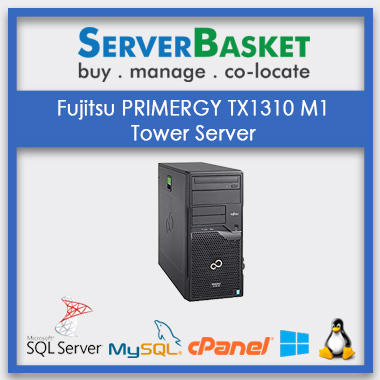 Browse our website to find high-speed FUJITSU PRIMERGY TX1310 M1 tower server, TX100S3, TX2540 MI 4U Tower servers at economical prices and along with 3 years warranty. Order soon to avail amazing offers on high-speed added performance Fujitsu Tower servers. We offer you latest Fujitsu Tower Servers which are highly efficient and at economical prices. Try our Fujitsu servers to experience advanced performance solutions to your data centres making implementation, integration, administration and deployment easy, thereby improving your business production. With the amazing processor and chassis design, Fujitsu tower servers work at ultimate performance levels and with low noise emission. The low noise tower servers from Fujitsu are very affordable and quite easy to maintain, administer and implement. These Fujitsu tower servers are cost-effective solutions to your start-ups, remote office, branch offices and SMEs. We help to reduce your administration efforts and budget required to maintain, deploy and control. Fujitsu tower servers make all the management and monitoring tasks less complex and economical. Our Fujitsu servers have highly efficient system designs to offer uncompromised performance. We have various designs to fit your requirements in distinct sizes. We offer you industry standard TX series Tower serves including PRIMERGY TX 1310 M1 tower servers, TX 100S3, TX 2540 MI 4U servers. Our future designs promise to satisfy all your demanding challenges according to present market trends such as Big Data, IoT and Industry 4.0. Our Fujitsu Primergy TX series servers are inbuilt with mass data storage capacity making this ultimate choice for intense data storage applications and complex workloads. This support 3.5” SATA Storage drives from 250GB to 1 TB. Empowered with 4-12 DDR3 memory slots with capacity from 2GB to 192 GB server models with ECC memory protection. With great memory slots and modules, Fujitsu servers are ideal for any sized business. We offer you intelligent server management in the form of compact Fijutsu servers offering next-generation power and flexibility. 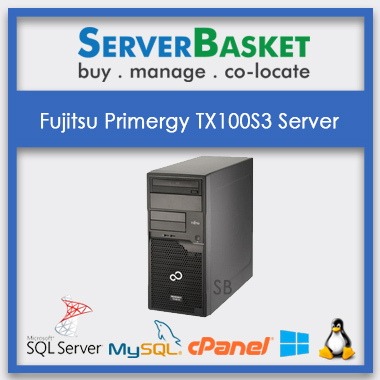 We provide you Fujitsu Primergy TX series servers with industry standard efficient system design to improve business quality with easy management techniques at budget-friendly prices. This is surely power efficient model in compact server design. We provide industry standard 3 years warranty to all Fujitsu Primergy servers available on our website. Within warranty period your server will be covered with installation, maintenance and other hardware services and issues. We cover warranty for defects in product and workmanship for 3 years from the date of purchase. Standard warranty differs with server configuration. We have the award-winning technical support team, who are at customer service round the clock. Our customer support team assist you during an event of any technical issue or query about performance or any other issue about the Fujitsu server. We have certified professional team, who are well experienced in dealing with issues related to Fujitsu servers.